My Fairy Garden Playset Just $11.99! Down From $30! You are here: Home / Great Deals / Amazon Deals / My Fairy Garden Playset Just $11.99! Down From $30! At Amazon, you can get this My Fairy Garden Playset for just $11.99 down from $29.99 PLUS FREE shipping with Amazon Prime or for orders $25 and above! You get everything you need to create a real garden. Using the included soil and seeds, plant your very own fairy garden and watch it grow. Add your own flowers or seeds, too–the possibilities are endless. Maybe even decorate with some stones or other fun things you have. Check on it every day and water it as needed. Make sure it gets sunlight, too. 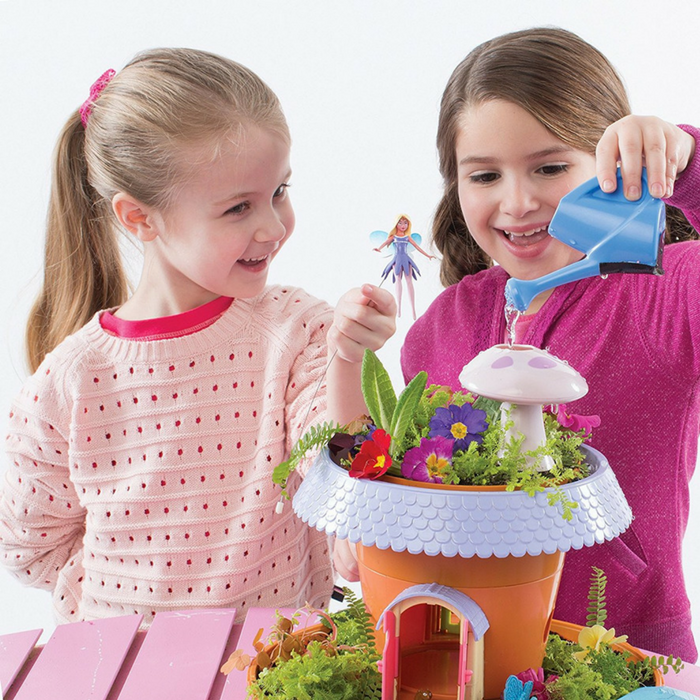 Play with your fairy garden and use your imagination to have lots of fun. Charming details, such as moving doors and trickling water, add enchanting fun! Play with Freya the fairy, and even make her fly using the attachable cord!